Rules, gameboard, counters, cards, record sheets, dice. 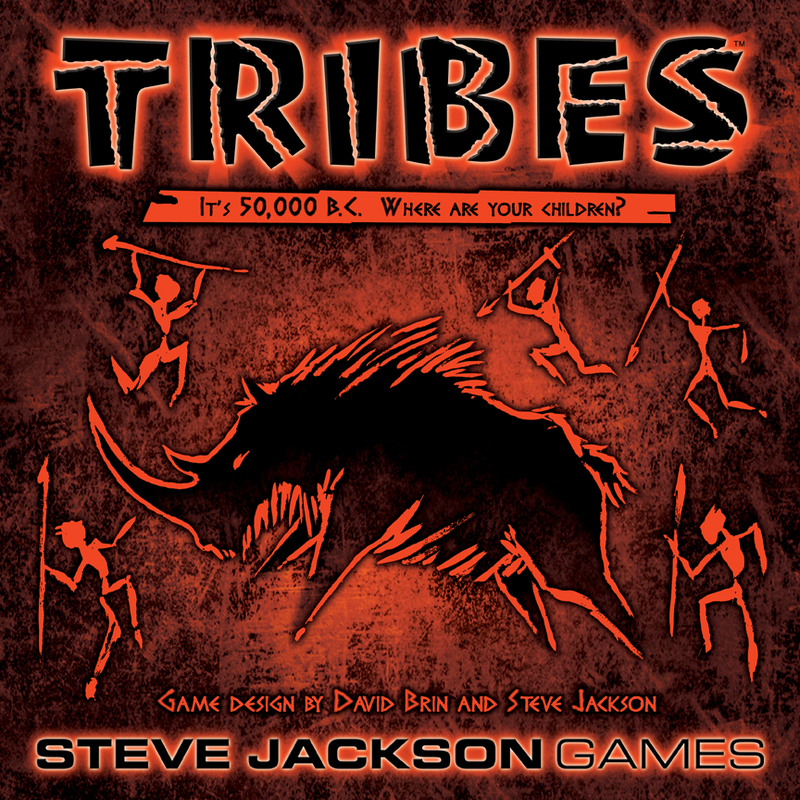 Tribes has been a convention favorite for many years. 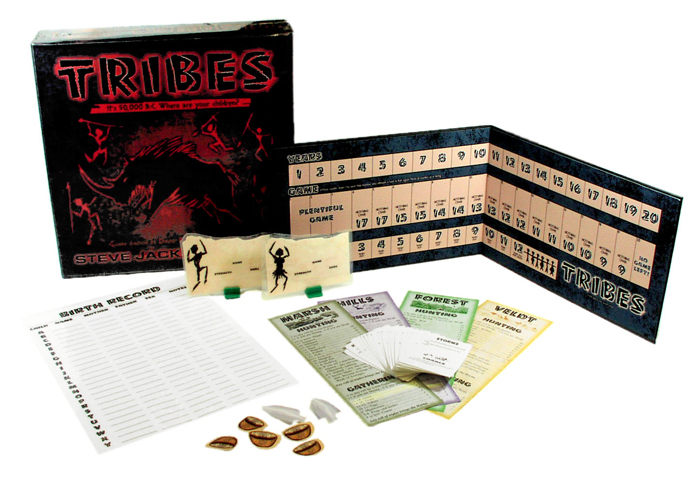 Designed by Steve Jackson and award-winning SF author David Brin, Tribes started as a very simple roleplaying game which plays a lot like a boardgame. The Second Edition streamlines play further and upgrades the components to a level expected by modern gamers. In Tribes, the players are cave men and women. They hunt and gather food, make their tribal laws, and deal with natural disasters. But the object of the game is simple: Look after the children! In this game, the way to win is to have the most kids, and do whatever you have to do to make sure they survive to adulthood. The players must know when to cooperate, and when to cut their losses and protect their own families. 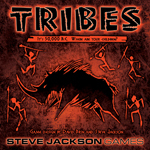 Tribes supports 4 to 8 players, creating their own laws and social patterns. With several copies and a referee, it is possible to have several tribes playing at once, competing, trading, exchanging members, and even making war on each other. This edition features erasable Character Cards and Birth Records, along with a marker; a gameboard for tracking years, games, and children; full-color tokens for Food, Grain, Baskets, and Spears; Chance cards, and three dice, all in a sturdy box. Looking for the First Edition of Tribes? Check out a picture of the newest prototype for the game here!